You’ve probably seen somebody with a fake pair of Gucci shoes, or pretend Oakley sunglasses. Only the most oblivious of humans cannot spot the differences between what’s fake and what’s authentic. The same can be applied to cars. And if we had to guess, China’s Dongfeng brand would like people to pretend its upcoming crossover is a Cadillac SRX. Saw it on Top Gear, they’re knocking off alot of cars. Even their Kia Sorrento was a knock off. No, only the chassis from the KIA Sorento was fitted in. 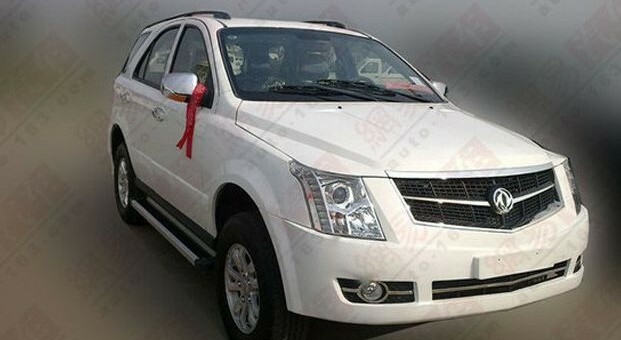 Another knock off is another Cadillac, that one being from the Shaanxi Victory truck. N400 on:Ask Away: What Do You Want To Know About The Cadillac CT5?